We love the beautiful Berkshire Mountains! 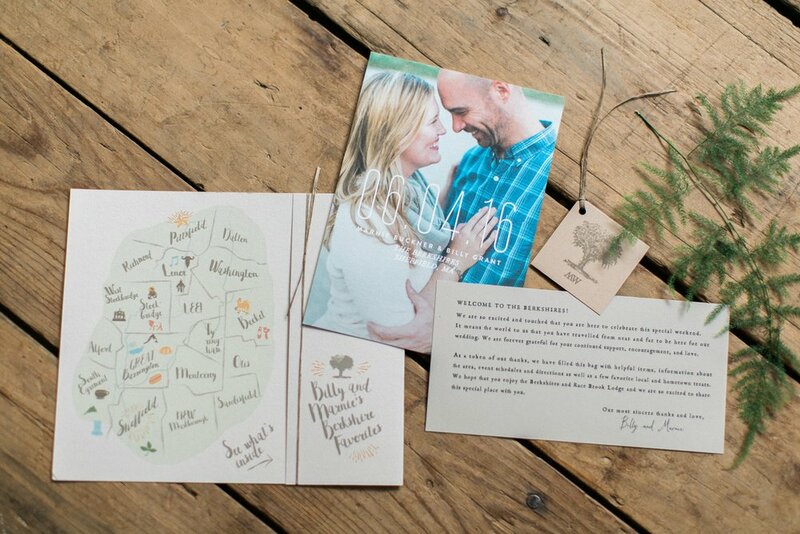 Western Massachusetts holds a special place in our hearts so we were totally kvelling to work with Marnie & Billy on their nature-neutral inspired wedding invitation suite and "day of" details! 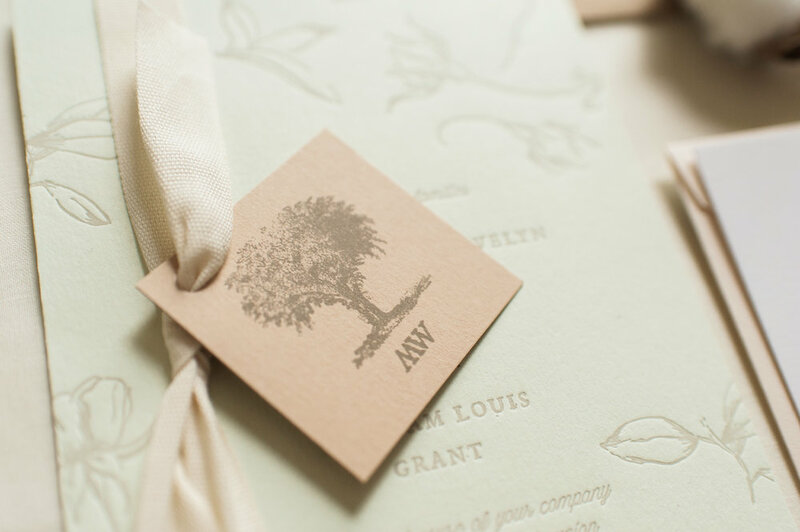 Sheffield has a "Big Elm" tree in the center of town so we created a logo and monogram tag, tied to the invitation with an understated cotton twill ribbon. We created a simple little doodle of the Race Brook Lodge. Beautiful Berkshire county all together has a plethora of cultural interests as well as outdoor activities to offer. 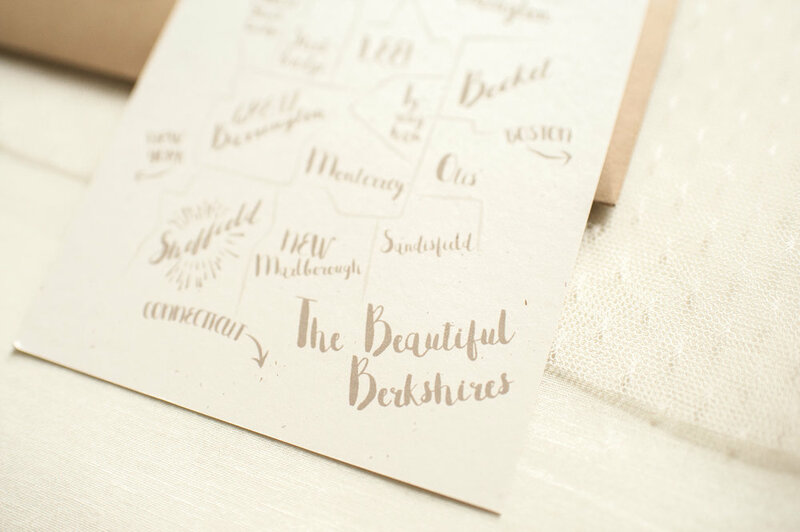 The events card was backed with a simple and fun map of the towns that make up this special place! 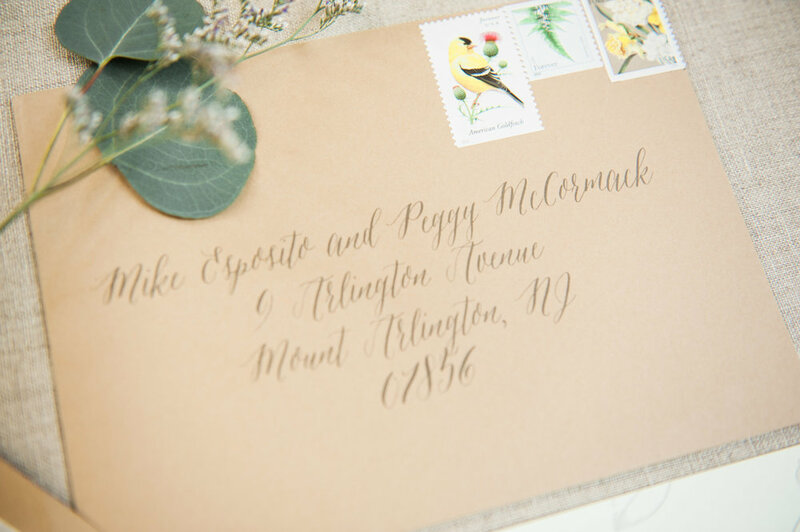 Explore our galleries, keep up with trends, receive wedding tips and tricks, and stay up to date with what's going on with us. Subscribe and live happily ever after. April 23 - ghosty acrylic table signage in hot pink screen print for this weekend's wedding!